IkamvaYouth is a township-based volunteer programme that gets learners out of poverty and into university has once again shown that transformation is possible, despite the odds. 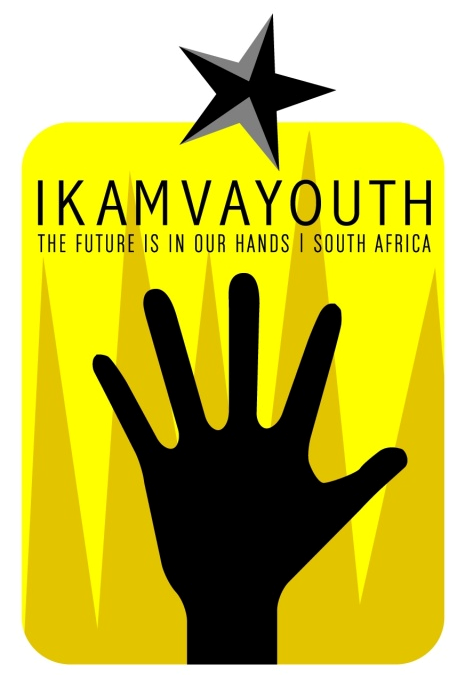 IkamvaYouth seeks to appoint a Branch Coordinator, based in Makhaza Western Cape. The social entrepreneur must be passionate about the power of education to transform lives and communities, and wants to make a difference. This is an exciting opportunity to play a pivotal role in a by-youth for-youth educational movement that empowers young people to take their futures into their own hands. As an organisation that supports community development, the candidate must be South African and ideally reside in Makhaza or surrounding areas. Lead a team of volunteers to implement the supplementary tutoring, career guidance and mentoring and holiday programmes. Gross salary: R14 000 per month. To apply, submit a CV AND motivation letter with “Branch Coordinator – ‘Makhaza’ in the subject line to careers@ikamvayouth.org. For more about IkamvaYouth, refer to http://ikamvayouth.org.www518.jnb1.host-h.net. We have learnt a lot this year. We have learnt that collaboration is not merely partnering for mutual benefit – an “I get something, you get something” scenario. We have come to view collaboration as assisting one another to achieve something more together than we could alone. 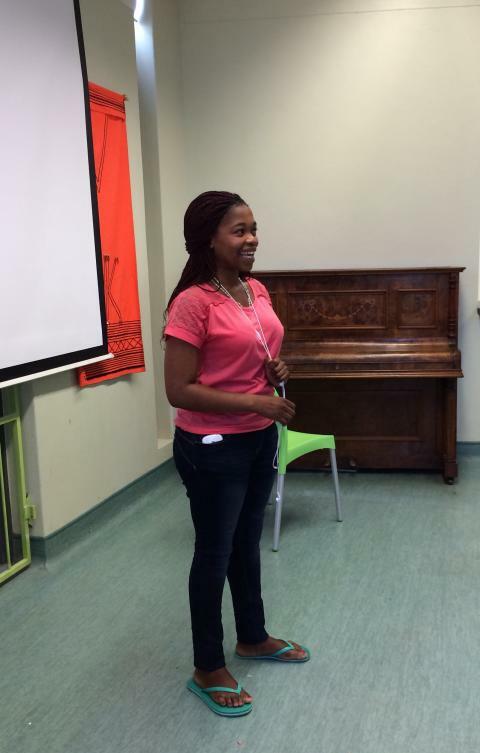 Last year saw IkamvaYouth work with several other organisations who were delivering after-school tutoring in the Western Cape. From January to November a group of between 4 and 12 organsiations would meet monthly to share what they had learnt over the last month and together we discussed and created solutions to our collective challenges. In addition, when possible IkamvaYouth were able to visit organisations, provide advice and guidance on their specific problems and learn from them about the realities of their context and what could be done to lessen the obstacles that are inherent to these contexts. The organisations who participated in 2014 were: EwB, Grassroots Boxing, Sozo Foundation, Ikamva Labantwana Bethu, SALT, Amandla Edufootball, Nebula Skateboarding, Masakhaneni Community Development, Emagqabini, and SAEP. The majority of these organisations improved the quality, sustainability and even size of their programmes over the year. I can’t possibly list all the achievements as they are numerous but some particular examples of success are worth mentioning. Nebula Skateboarding is an organisation that combines skateboarding and tutoring. They offer primary aged learners the opportunity to get help with their homework, learn to skate, and access a specialised curriculum that draws connections between skateboarding and life! This curriculum explores the concepts of self-awareness, discipline and self-expression and looks to develop various aspects of the learner – both socially and academically – to prepare them to rise above the challenges and obstacles that they are likely to face. 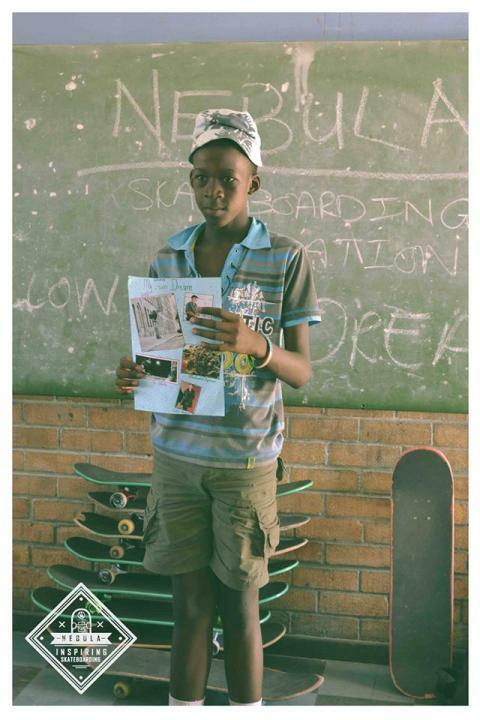 Siya shares his dream to be a skateboarder and mechanical engineer! Rayne Moses, the founder of the organisation has worked tirelessly this year to: secure a grant from The Learning Trust, secure a venue, establish a consistent programme, entice more learners into the programme and even explore an additional site. Check-out this amazing video that was made for Nebula, which shows just how far they have come! Sozo Foundation went from strength to strength last year, through the incredible and inspiring commitment of the Sozo team. Consistent improvements in learner’s attendance, receipt of grant funding and rewards, and building a whole new building were just some of their achievements. The hard work that was put in last year by the staff, tutors and learners was acknowledged at the end of year prize-giving, which I had the honour of attending. Prize-giving in the new Sozo Educentre! SALT’s admirable determination to learn from others and to improve their programme proved to do wonders for their Saturday morning tutoring sessions. A sight to be seen! Eager learners, committed enthusiastic tutors and welcoming staff was truly inspiring! The quality of their programme was reflected in their amazing results. Out of 11 grade 12s, 7 were placed in tertiary education institutions in the fields of mechanical engineering, physiotherapy, psychology, maths & science, and computer technology! The other 4 are being supported by SALT and are rewriting supplementary exams in March. 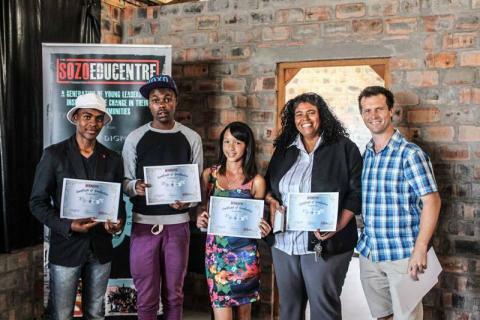 While all the organisations involved would have likely implemented tutoring programmes and may well have achieved these feats without IkamvaYouth’s support, being part of a connected community who could be called upon in times of need or doubt, and a community that could provide connections and resources has proven to be a hugely valuable initiative. 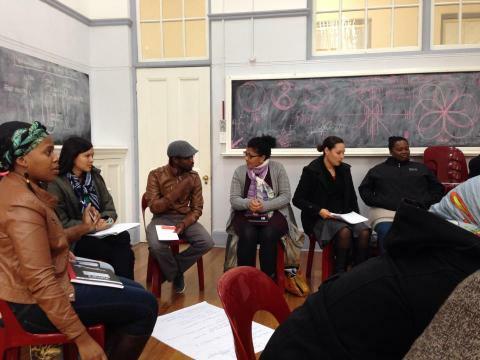 “It has been such a privilege and honour to be part of the Collaborative Community, partnering with IkamvaYouth and other likeminded organisations!…We have learnt so much from the monthly meetings and one-to-one mentoring sessions particularly with the foundational structures of our programme.” Arlene Block, Sozo Foundation. The collaborative community will continue in 2015, with the support of The Learning Trust and hopefully grow and strengthen to form a country-wide support network for after-school organisations that allows us to achieve more by working together than any of us could alone. 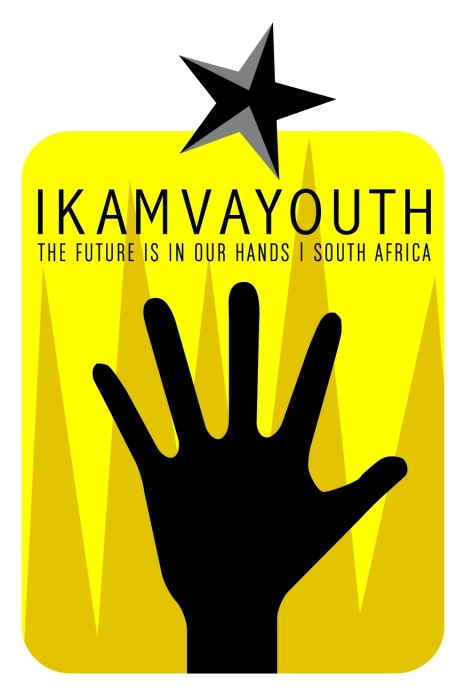 If you are an after-school education organisation and would like to discuss how IkamvaYouth and other organisations are (or could be) working together and sharing resources to increase the impact of all our programmes please get in contact. Visit www.ikamvayouth.org/vision2030 or contact zoe@ikamvayouth.org for information on training and support services. This social entrepreneur must be passionate about the power of education to transform lives and communities, and want to make a difference. This is an exciting opportunity to play a pivotal role in a by-youth for-youth education movement that empowers young people to take their futures into their own hands. Ensure quality delivery of programmes and implementation of IY policies and processes at branches. Only shortlisted candidates will be contacted. No late applications will be accepted. The 24th of January was the day the volunteers stuff members and parents of the IkamvaYouth Ivory Park branch have been waiting for. The Ivory Park branch has been collaborating open days with its sister branch Ebony Park, but this year it went solo. The programme for the day was well managed allowing the invited guests, parents, school principal and learners to participate and represent. The activities of the event involved prize giving to top performers in the year 2014 with certificate and gift awards in different categories to include Platinum Attendance, Most academically improved learners, Best Tutors and 2014 matriculants for having successfully completed matric with IkamvaYouth. Application forms were issued to those who wanted to join IkamvaYouth. The programme opened with a warm welcome by the branch coordinator (Mr Clemence Msindo), followed by our host and guest of honor Mr K Maduma, the principal for Kaalfontein Secondary School where the Ivory Park branch operates from. Mr Solani from the District Department of Education, Dr W. Kubeka from University of Johannesburg and Simpiwe from the Vine Branches blessed the event as motivational speakers to learners with words of encouragement with regards to academic improvements. Our IkamvaYouth branch committee parent Mma Mogano gave a touching speech to other parents about the good IkamvaYouth is doing in the community with reference to her child’s improvement in school work. The Kaalfontein Secondary School choir, with their melodic voices couldn’t let the event go by without them being heard, they sang so well they left the crowd asking for more. Our class of 2014 who had risen above the odds and gave the Ivory Park branch 87.7% pass rate were awarded with certificates for their courage and bravery in their achievement. The top achiever Benny Matlou was awarded a wrist watch for his two distinctions in Mathematics and Physical Science. 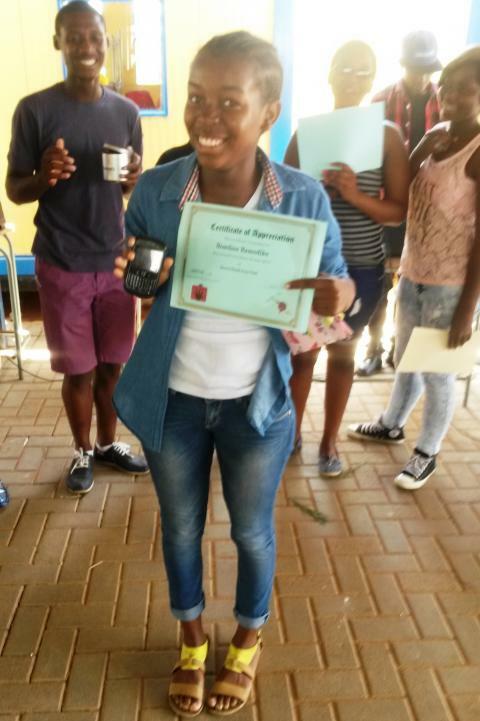 The branch awarded the top attender with a Blackberry phone for her commitment to IkamvaYouth throughout the year. The day was full of joy and ABI made the day extra special by donating drinks and water to the learners, volunteers, parents and guests to quench their thirst. The day ended with a number of learners queuing to grab application forms to join IkamvaYouth. On the 07 February 2015, we had an amazing turnout from parents and learners; the hall was packed to capacity where there was a distinct feeling of excitement and hope for the year. 50 learners and 35 parents attended the event. 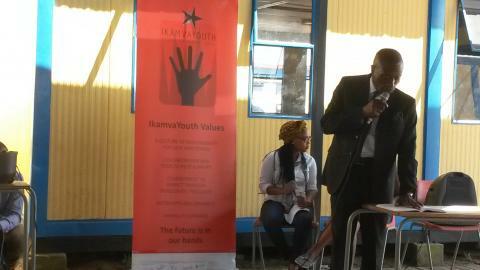 We presented IkamvaYouth programs and values to our new learners and their parents. We assisted to a genuine sharing of experiences through the comments and questions of the parents. And thanks to both speeches of Phumza Kibi and Thulisa Myeki. We also have our first meeting with grade 12’s parents to prepare for 2015; the meeting was successful and we got full participation from parents and learners. We are happy to announce that on the 07 February 2015 we already registered 52 new learners and we have issued out quite a lot of application forms during the Open Day. We are now looking at a total of 106 learners who have registered with IkamvaYouth Masiphumelele this year. We are still looking at recruiting 5 Grade 9’s, 20 Grade 10’s, and as for Grade 11’s we only taking learners for waiting list now. Grade 12’s we have 24 for the year 2015. The Masiphumelele Branch will officially be starting its Home-work session on Monday 9 February 2015 at 15:30 until 17:30. We look forward to host this day. Let me extend a warm appreciation to all those who have assisted us during the Open Day and let’s keep it up guys, work has begun!